Plumber arrived in timely fashion and examined situation carefully before proceeding with work. Walked through the house's unique plumbing situation and then used router to resolve problem. We will definitely use Aleck again! This company is fantastic. The 2 man team arrived on the set day on time and all smiles. They cut, removed and disposed of all galvanized water lines and installed new copper line pipes. They also replaced outside sillcocks and piping that leaked like "Katrina" when turned on. Installed new basement fixtures and numerous valves for easy future remodels. Replaced 50 year old builder errors, and repaired previous owner mistakes. Water pressure difference is very significant. Total clean up of all debris. Overhead pipes clamped and secure. The finished job is very neat and looks better than when house was built. I have no more fears of returning home to leaking pipes. "Cadillac Plumbers", I am well pleased. It went great! As I requested, they actually removed the stopper (which is screwed in from under the sink) so I could insert a screen to catch debris. I've asked numerous plumbers to remove the stopper and I'm always told to do it myself. If I could do it myself, I wouldn't ask. 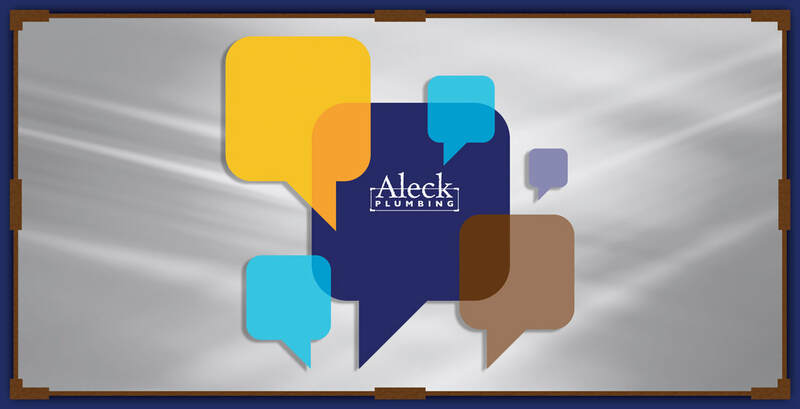 So I'm a happy Aleck Plumbing customer...thanks for listening! One person came to complete the service. It took him less than 30 minutes. He left the area clean. They figured out my problem quickly and we adjusted for it. I hired Aleck plumbing to do work for me many years ago and was totally satisfied with the work that was done, and that's the reason I had them to come back and perform more work that I needed to be done. The worker was very knowledgeable and answered all questions that I asked of him. The staff is very polite and professional. I highly recommend them and give them 5 STARS. I can't say enough about these guys. I've been using them for almost a year. Great help with a remodeling job, as well as everyday emergency help. Quick, flexible and professional. Office staff is courteous and helpful as well. Highly recommend. Five days after moving into my townhouse, my kitchen drain pipe froze. I called my home warranty company and arranged for a plumber to come out. The home warranty plumber couldn't route out the blockage, said they would need to cut into my garage ceiling to get to the pipe, troubleshoot, and see if they could resolve the issue. None of this suggested work would be covered by my warranty. 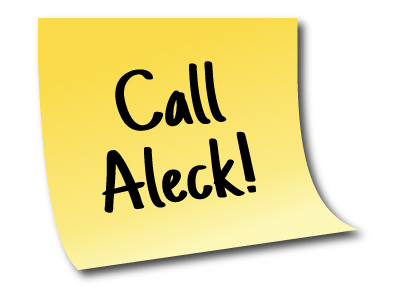 ***SO GLAD*** I called Aleck Plumbing for a second opinion! My HOA president was thrilled to hear I reached out - he's had great experiences with Aleck in the past. The scheduling team returned my call at 7:00 AM, set an appointment for 11:00 AM - 1:00 PM, then called a short time later as they were running ahead of schedule and could see me sooner. Matt was everything I could ask for in a plumber - courteous, knowledgeable, friendly, timely, laid a tarp down before taking apart the plumbing to protect my under cabinet area, even took his boots off to avoid tracking snow into my home. As a first time home owner, I was very concerned and had many questions, which Matt patiently addressed. He confirmed the pipe was indeed frozen, reassured me that it wasn't an emergency, and suggested some alternate action. 3 hours later the water is draining from my sink (and my garage ceiling is not full of holes)! Aleck Plumbing saved the day. I can't thank you enough!!! Huge fan! I have used their services a number of times and am always satisfied. Home, work, emergencies and maintenance. Well trained, polite, and trustworthy. We called Aleck Plumbing to fix two minor problems with our faucets. This was the first time we used Aleck Plumbing. Paul did a great job fixing our problems. He arrived when promised and we think the amount we were charged for the repairs was fair. We are very happy with Aleck Plumbing and will happily give out their name to family and friends looking for an honest plumber. Once again I hired Aleck Plumbing for a minor plumbing job (slow-draining sink and bathtub in my 1950s house). Nice job, very neat, prompt and efficient. Pricing is upfront and there are no surprises. They have Saturday hours and will continue to be my plumbing contractor back-up.